Nick-Davis.com: Can You Ever Forgive Me? Director: Marielle Heller. 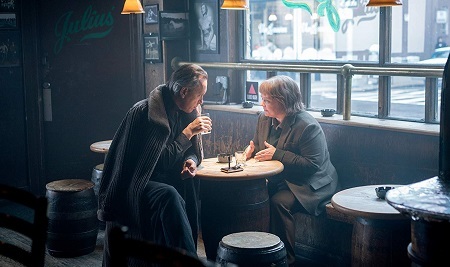 Cast: Melissa McCarthy, Richard E. Grant, Jane Curtin, Dolly Wells, Stephen Spinella, Ben Falcone, Gregory Korostishevsky, Christian Navarro, Anna Deavere Smith, Erik LaRay Harvey, Pun Bandhu. Screenplay: Nicole Holofcener and Jeff Whitty (based on the memoir by Lee Israel). Twitter Capsule: So layered! Tonally adroit. Perfectly acted. Historically specific. Love of words as dangerous siren. VOR: ④ Seriocomic character studies can look familiar, but the team here is practically recuperating all-but-lost levels of precise, situated portraiture.